If you're reading this, chances are you're interested in a luxury crossover SUV. We can also assume that you want a hybrid vehicle that actually delivers a significant fuel economy advantage. Just a few years ago, you would have had but one choice: the Lexus RX. Although it has a few rivals now, the 2011 Lexus RX 450h remains a top pick. Compared to its conventional RX 350 stablemate, the RX 450h uses a similar 3.5-liter V6 engine but also adds two electric motors (three for the all-wheel-drive model). This hybrid powertrain produces a total of 20 horsepower more than the conventional RX 350's V6 while also delivering fuel economy that's approximately 40 percent better. The increase in fuel efficiency is certainly an enticing proposition, but it's worth noting that the RX 450h will set you back more than $5,000 over the RX 350, and that means it's going to take a number of years to recoup that cost in fuel savings. Of course, there is a certain satisfaction that comes with driving a more efficient vehicle. In addition, Lexus RX 450h owners will also enjoy all of the typical RX benefits, including class-leading interior quality and an impressively smooth and quiet ride. The cabin also boasts a bevy of high-tech features -- both standard and optional -- to please most technology enthusiasts, including a surprisingly useful mouselike electronics interface, a sweet-sounding Mark Levinson sound system and LED headlamps. The few other hybrid luxury crossovers choices include the Porsche Cayenne S Hybrid and Volkswagen Touareg Hybrid. But both are quite a bit more expensive and not as thrifty on gas. Factor in the Lexus' refined, light-effort approach to daily driving and it's easy to see why the RX 450h remains our top recommended choice in this niche segment. 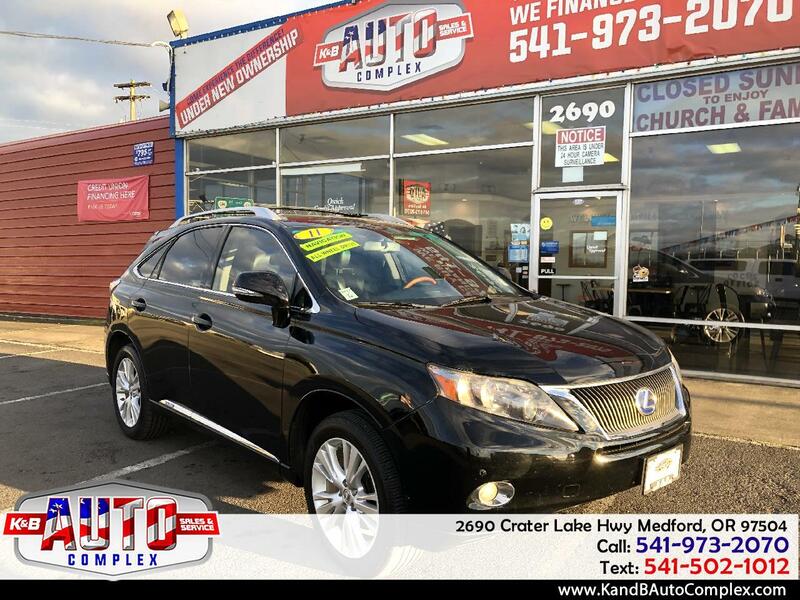 The 2011 Lexus RX 450h is a five-passenger midsize luxury SUV available in front- or all-wheel-drive versions. It comes in one well-appointed trim level that includes 18-inch alloy wheels, foglights, auto-dimming mirrors, keyless ignition/entry, 10-way power front seats, a power tilt-and-telescoping steering wheel, dual-zone automatic climate control, cloth upholstery, wood interior trim, sliding and reclining second-row seats and a nine-speaker audio system with a six-disc CD changer, satellite radio and an auxiliary audio jack.